Sheerwater Glass Receives Support from Dempsey Dyer, one of the UKs best Timber windows and Doors manufacturer. Sheerwater Glass Centre has been supplying a high quality range of UK manufactured timber windows, doors and conservatories in Surrey, Hampshire, Middlesex, West Sussex and Berkshire since 1972. In addition to their hard work and honest attitude, their quality timber products have contributed significantly to the good reputation that Sheerwater Glass enjoys today. The timber products supplied by Sheerwater Glass are manufactured by Dempsey Dyer, the leading window and door fabricator. Established in 1977, Dempsey Dyer is a family owned company boasting more than 35 years experience in the manufacture of high quality timber doors, windows and conservatories. 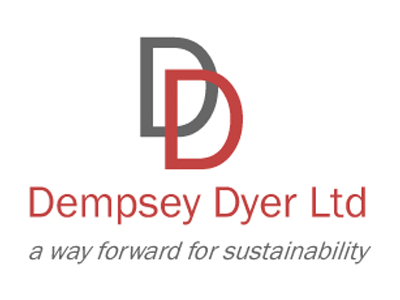 Durability and sustainability are of primary importance to Dempsey Dyer during the process of fabrication. By opting to buy Sheerwater timber products, which are manufactured by Dempsey Dyer, you are guaranteed that your purchases are made using timber that is obtained from sustainable sources. You also have the peace of mind of knowing that all the timber products you purchase have been built to last. What this means is that your timber doors, timber windows and timber conservatories are guaranteed for 10 years and will look at their best for years to come. Sheerwater Glasss timber fenestration products are constructed from a variety of hardwoods and softwoods with varying durability, from 5 timber species, including engineered European Oak and Accoya. With regards to finishing options, Dempsey Dyers timber products feature the standard range of opaque paints and translucent stains. However, the company is willing and able to supply any paint colour upon request. All the timber products available have been coated using Tekons water-based paint system. Following completion of the end-grain sealing, a primer is then applied at the correct temperature and viscosity to all the timber fenestration products by the flow coater system. Two top coats are thereafter applied to the current film micron thickness, as well as at the correct air temperature with air assisted spray. It is possible to achieve a similar finish on site when using a professional painter or decorator and a fine haired paint brush, Tekons paints can be purchased direct from Sheerwater Glass upon request. More than just a window specialist, the Sheerwater Glass grew from a family business to one of the longest established fenestration companies in the area. With a client base varying from NHS Trusts and large multi-national companies to Woking borough council social housing and private home owners, Sheerwater Glass prides itself in providing first class service and outstanding product offerings.